← Fanny packs and cruiser bikes, oh my! Sometimes, I enjoy a fine adult beverage. Usually, I love a glass of chilled white wine, or if I’m feeling especially decadent, Bailey’s irish cream mixed with ice cubes and milk. However, lately I’ve been craving the salty, lime taste of a margarita. But what’s a calorie counting gal to do?! Booze calories add up quickly, and I’m the type that would much rather eat my calories than drink ’em. Margarita mix in particular is loaded with sugar – and that packs heat if you’re trying to watch what you eat drink. Limey! 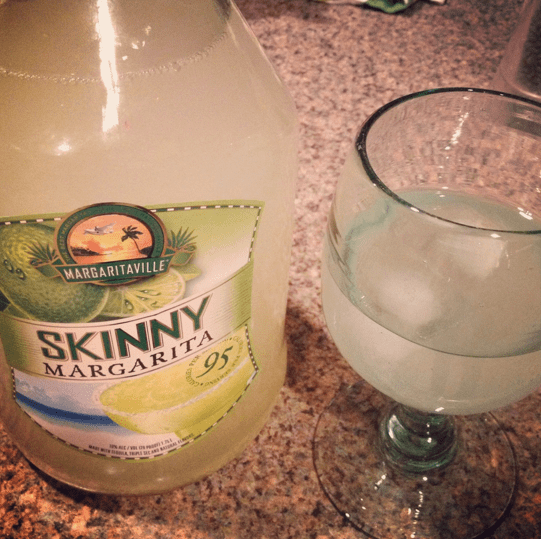 Only 95 calories for a magical margarita. 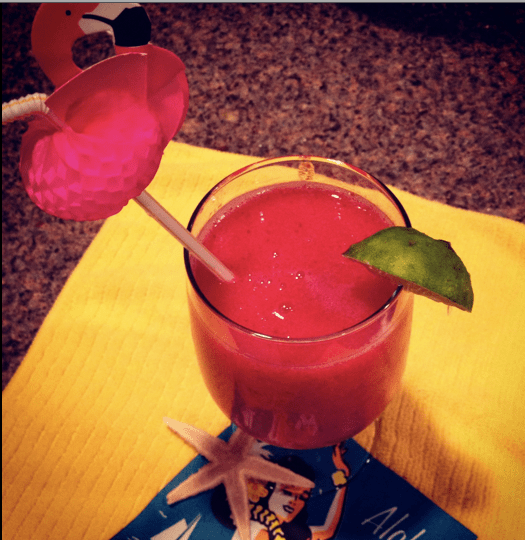 I mixed a little Aloha with Hola and made a Strawberry Margarita/Daquiri thing. 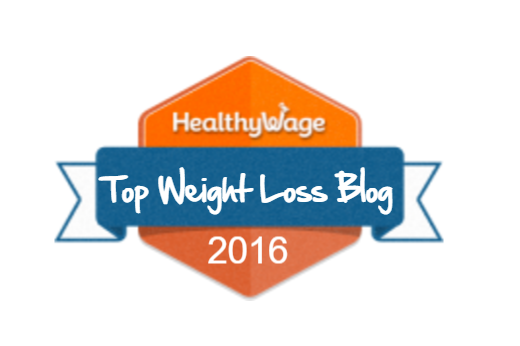 4 oz (1/2 cup) is 95 calories, which isn’t bad for a decent sized drink. The first time I tried it, I just had it on the rocks. The best thing about this stuff is that it’s basically lime juice, tequila, and agave nectar. Tequila is made from agave anyways, so it’s kind of genius for them to use a natural, low-calorie sweetener that comes from the same thing the booze is made from. The agave nectar doesn’t leave any artificial sweetener after taste – one of my peeves with Splenda or aspartame. The second time I had it, I went wild and had two servings (1 cup = 190 calories) with 1/2 cup frozen strawberries (30 calories). 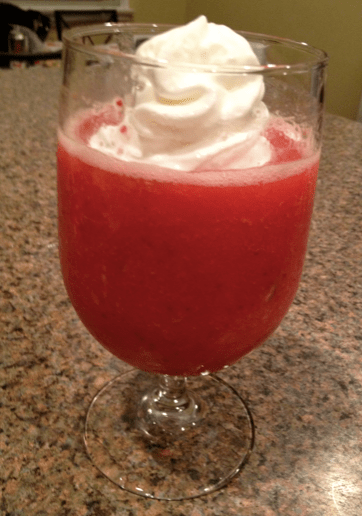 Blend it all together and you’ve got yourself a fancy pants Margarita-slushy-dacquiri thing. It was quite delicious, and after I added a dollop of fat free whipped cream (5 calories), I felt like I was on the beach in Cabo, instead of in cat-hair covered sweatpants toiling away on a thesis. I'm whipped for whipped cream. If you’re counting calories or watching your weight or just want to be a jubilant, lighter-weight drunkard, I recommend you check out Margaritaville’s Skinny Margarita. It’s tasty – and will no doubt soften the blow of Monday! C’mon – it’s 5:00 somewhere! This entry was posted in Booze, Food and tagged agave nectar, alcohol, are you reading these tags, boozing it up, daquiri, drunk grad student, haha, i figured, lime juice, low calorie drinks, low fat alcohol recipes, low fat cocktails, low fat drinks, margaritaville skinny margarita review, strawberrys, tequila. Thanks for the tip. I may have to try that.